Note: Enough is Enough and Riot Turtle are not organizing any of these events, we are publishing them for people across the US and Europe to be able to see what is going on. Spencer was the star of a 1000 memes, all from when he got punched in the face while doing a street-interview near to the #disruptJ20 protests during Trump’s inauguration on January 20th. The fascist gathering protested against the bombing of Syria by the US air force, ordered by Donal Trump. Spencer said the bombing was a “total betrayal” of the Alt-Right and called for an anti-war movement from the Alt-Right. Spencer sees war criminal Assad as a reasonable person and wants a “peaceful and mutually beneficial relationship” with the U.S. and Assad’s regime in Syria. Spencer was joined by Mike Enoch, host of “The Daily Shoah”. 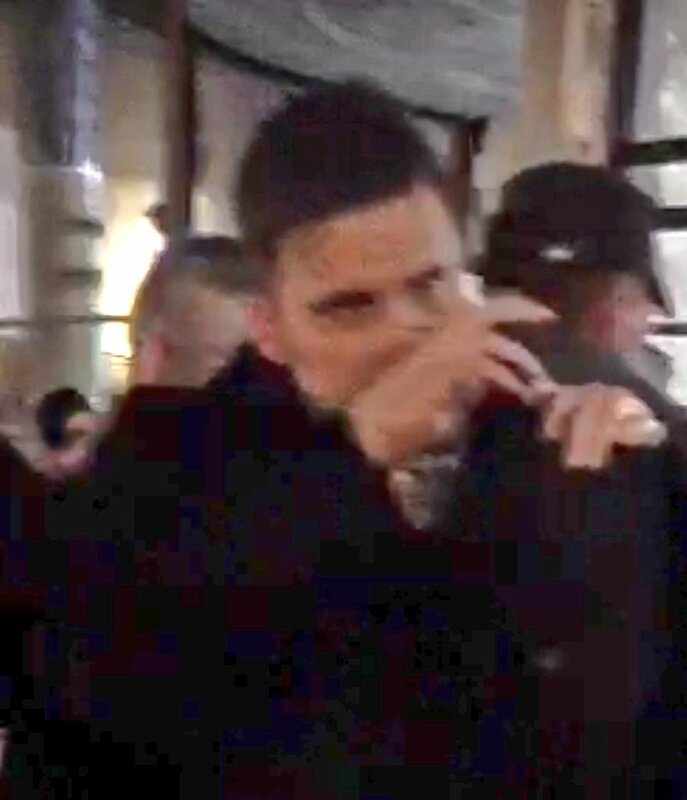 Richard Spencer and his fascist friends were chased by antifa activists and Spencer had to run to get into a cab as he was confronted directly by antifascists. Spencer alledgedly mocked the cab driver for being of Idian origin, had to get out of the cab and was punched and glitter bombed by antifa activists. Spencer and other Alt-Right activists seem unwilling to understand that they will not find allies on the anti-war left. Antifa activists will not let that happen. Not yesterday and not in the future. Two antifa activists were detained but a little bit later they were released again.